dandy bohemian: What happened to Glee? There wasn't a new episode last night and there would not be for a while. I know, it's sad and I don't know how to blog about Glee now. Except maybe share some photos and videos I got online. 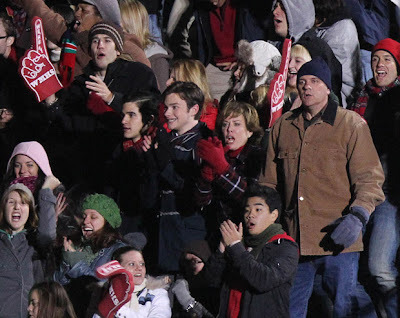 Glee is on hiatus for about two months and they'll be back on February 6, 2011! What episode you might ask? It will be the epic Super Bowl Episode. From what I hear/see/read actually, they'll be singing Michael Jackson's Thriller. I mean, how awesome can that be?!? Anyway, let me share to you first this video from youtube. 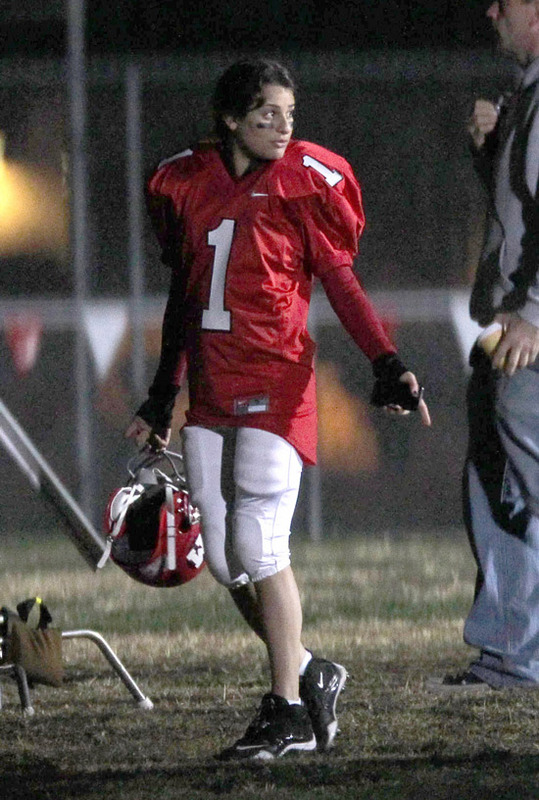 It shows Lea Michele trying on a football uniform. Cute, right? But, wait... There's more! This time, let me share some photos. 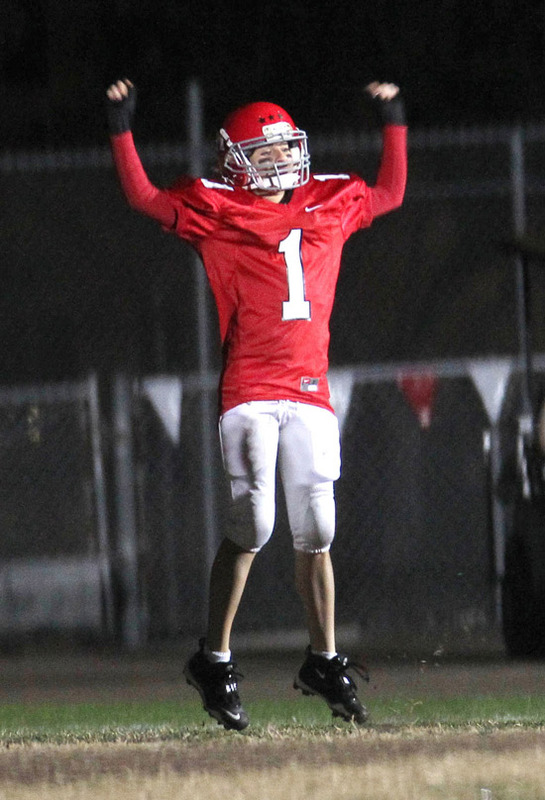 Lea Michele in full on Football uniform. Nice! Of course, she is number 1!!! Lea with her football buddies, Cory and Chord. Its the Hummel family, together with a friend, Blaine! How awesome does Chris' facial expression is?!? Wait, why is Lea jumping? Did they already win? Oooops, spoiler!!! Last one is a short video in celebration for them hitting the 10 million mark in Facebook!!!!!! It says Part 1 so expect more!